The studio smells heavenly. 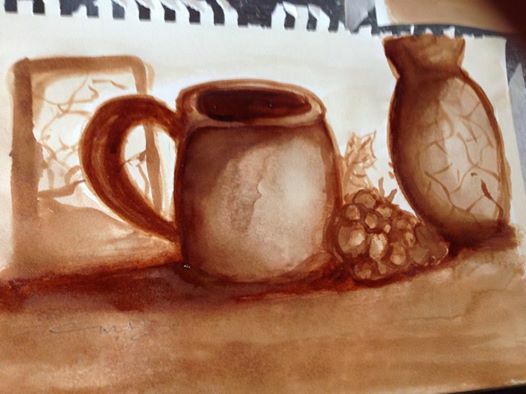 I just finished my first coffee painting with the guidance of sir Jimmy Uy Tablante (an amazing artist) and I am loving it! its fun and a challenge to get all my tones right. Toning is really good to learn as an artist because it helps you color and shade better. I think its something that I will practice. I am definitely getting my art to the next level.